To celebrate World Environment Day (June 5) and World Oceans Day (June 8), National Georgraphic is releasing engaging new content and hosting a series of events to highlight the importance of protecting the world’s oceans. These activities come on the heels of National Geographic’s Planet or Plastic? launch and will help support the theme of both World Environment Day and World Oceans Day 2018, which is centered on preventing plastic pollution. Planet or Plastic? is National Geographic’s multiyear initiative aimed at raising awareness about the global plastic crisis and reducing the amount of single-use plastic that enters the world’s oceans. Using the power of storytelling and science, National Geographic is encouraging its audiences around the world to help tackle the crisis, beginning with the release of the June issue of National Geographic magazine, which takes an in-depth look at the impact of plastic on ocean health and is available on newsstands now. 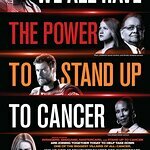 The multiyear effort includes a major research and scientific initiative; a continued consumer education and engagement campaign; updated internal corporate sustainability commitments; and innovative partnerships with like-minded corporations and non-governmental organizations from all over the world. 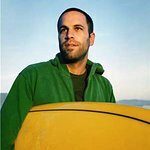 EXCLUSIVE CUT OF JACK JOHNSON SHORT DOCUMENTARY “THE SMOG OF THE SEA” ON WORLD OCEANS DAY: National Geographic will release an exclusive cut of singer and songwriter Jack Johnson's short documentary “The Smog of the Sea,” highlighting the impact plastic pollution is having on the world’s oceans, along with a Q&A. Johnson’s recently released song “Fragments” is featured in the documentary and was inspired by the topic. Johnson is an environmental activist who, along with his wife, Kim Johnson, founded the Kokua Hawaii Foundation to support environmental education in Hawaii’s schools and communities, as well as the Johnson Ohana Foundation to support environmental, art and music education worldwide. Through these efforts, Johnson supports plastic-free initiatives and raises awareness about solutions to plastic ocean pollution. Q&A WITH ACTOR ADRIAN GRENIER, A UN ENVIRONMENT GOODWILL AMBASSADOR, FOR THE UNITED NATIONS WORLD ENVIRONMENT DAY: On Tuesday, June 5, National Geographic magazine Editor in Chief Susan Goldberg will interview actor, filmmaker and UN Environment Goodwill Ambassador Adrian Grenier on the work he is doing to eliminate single-use plastic. Grenier’s organization Lonely Whale Foundation focuses on cleaning up oceans and minimizing plastic pollution’s impact on the ocean. PARTNERSHIP WITH PLAYMOB ON “DUMB WAYS TO KILL OCEANS” APP: National Geographic is teaming up with the gaming-for-good company Playmob for the launch of “Dumb Ways to Kill Oceans,” a minigame launching on World Oceans Day. By engaging with the game, audiences will be able to learn about the issues faced by the oceans and read advice on how they can make everyday changes to their own lives that can help turn the tide on plastic pollution, ocean warming and coral reef degradation. NEW DIGITAL AND SOCIAL CONTENT ON WHAT YOU CAN DO TO REDUCE SINGLE-USE PLASTIC: Today, National Geographic released new tips for parents and kids on how they can reduce their reliance on single-use plastic as a family. Later this week, National Geographic will publish an exclusive video and story on National Geographic Fellow Heather Koldewey’s latest work regarding the emerging crisis of ghost nets, or abandoned fishing gear, and possible solutions to remedy the problem. Ghost nets were recently found to be the biggest component of ocean plastic by volume. Throughout the week, National Geographic will dedicate its social and digital channels to highlighting the plastics crisis and its impact on ocean health. UNVEILING OF PLASTIC BRIDGE INTERACTIVE ART INSTALLATION IN TIMES SQUARE: On World Oceans Day, the Dopper Foundation, in collaboration with National Geographic Encounter: Ocean Odyssey, will unveil its Plastic Bridge interactive art installation. National Geographic Explorer Asher Jay is the artist behind the installation, a plastic replica of the Brooklyn Bridge built with 5,000 single-use plastic water bottles and measuring 30 feet wide by 11 feet tall. The unveiling kicks off the Dopper Foundation’s global Plastic Bridge Project, an educational initiative that raises awareness about the harmful impact of plastic pollution in our world’s water sources. The goal of the Plastic Bridge Project is to ultimately inspire 20,000 children around the world to step into a lifestyle that is free of single-use plastic water bottles within the next five years. PLANET OR PLASTIC? AT WORLD ENVIRONMENT DAY CONFERENCE IN NEW DELHI, INDIA: National Geographic is involved in a series of events taking place in New Delhi, India, the 2018 World Environment Day host country, in support of this year’s theme, “Beat Plastic Pollution.” In collaboration with UN Environment and the Ministry of Environment, Forest and Climate Change in India, activities will include an exhibition space featuring National Geographic images of plastic pollution in South Asia, as well as presentations by National Geographic Explorers Heather Koldewey, Jenna Jambeck and Lilly Sedaghat on the World Environment Day Conference stage. PRISTINE SEAS SCIENTIFIC EXPEDITION: National Geographic Society’s Pristine Seas team is conducting a scientific expedition to explore the waters around Portugal’s Azores archipelago. Working with leading marine scientists from Portugal and across the globe, the expedition team will study the marine environments of the area, from nearshore ecosystems to the lesser-known deep-sea and open ocean areas as well as never-before-surveyed seamounts. The expedition, led in partnership with the Oceano Azul Foundation, the Waitt Foundation and the Regional Government of the Azores, departed from the city of Horta on June 3 and will run through June 23. The National Geographic Pristine Seas project uses exploration, research and media to inspire the creation of protected areas where marine life can thrive. Its mission is to help protect 20 of the last wild places in the ocean by 2020. ANACOSTIA RIVER CLEANUP: On June 7, National Geographic employees, including National Geographic Partners CEO Gary E. Knell, National Geographic Society Interim President and CEO Mike Ulica and National Geographic Magazine Editor in Chief Susan Goldberg, will join colleagues from other 21st Century Fox business units to pick up trash in Washington, D.C.‘s Anacostia River. The event is in partnership with the nonprofit Anacostia Riverkeeper and is part of 21st Century Fox’s Impact Week. National Geographic Travel will host a Facebook Live from the cleanup addressing the plastics crisis. National Geographic’s celebration of World Oceans Day raises awareness for protecting the world’s oceans from the dangers of single-use plastic. To join the global community stemming the tide of single-use plastic, take the pledge. For more information on Planet or Plastic?, visit natgeo.com/planetorplastic.